CRM Migration. That’s a phrase you don’t necessarily look forward to hearing. It can be a headache but is probably a necessary evil for your fitness brand at some point if you want to streamline processes, optimize sales leads, and increase conversions and profit margins. So what is a CRM system and do you really need to switch it out? What is a CRM System for Fitness? Your CRM system is an important part of your fitness digital “tool kit” and fits into your sales process, helping optimize how you bring in leads. By streamlining processes and keeping better track of member and prospect information, including lead sources, you’ll increase conversions. Integrations between your various systems are VITAL if you want to be quick, agile, efficient, and increase your profit margins over time. Many CRM systems were not designed to meet the specific needs of gym and fitness clients, which means that they’ve either been retrofitted to try to cope, or you’re having to do a ton of workarounds to get your staff the important information they need. If you find yourself in this situation, it may be time to consider making a switch. With any technology or software, you’re going to have questions. Not having access to quality and responsive customer service can be a legitimate deal breaker for most. Consider this when you’re searching for a new service. Ready to make the switch? Great! 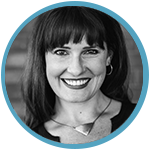 If you’ve identified a new system that will meet most of your growing needs, you probably can’t wait to get it rolled out and are ready to flip that switch right now. But wait - not so fast - as we mentioned earlier, CRM migration (just like any new tool) takes a lot of time, education, and cost to get up and running. You’ll want to carefully think through some questions before you start the process. How is this switch going to change your sales process? What education/training tools do you need to put in place for your staff? How much time is it going to take them to be fully operational on the new CRM system? What about the CRM’s customer service? Will it be better quality and more responsive than your current system? What are the one-time costs, the ongoing costs, and the potential hidden costs of the new CRM system? And is it worth it? How is the system going to integrate with your current systems, tools, and processes? Where is this new CRM system going to save you time and/or money? 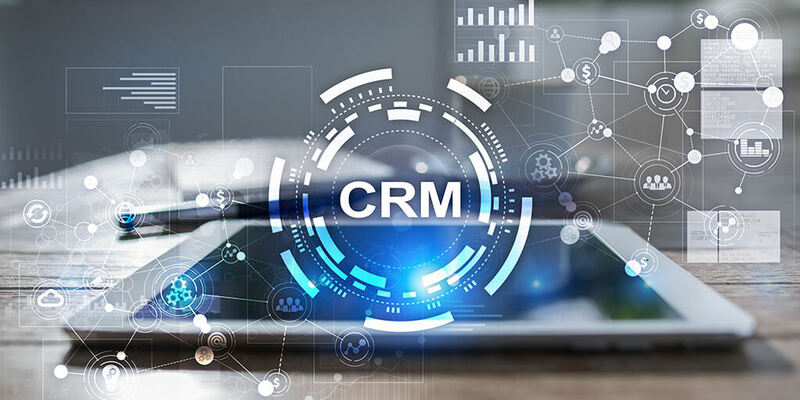 Once you have considered all of these questions and get ready to begin the CRM switch, you want to make sure that your expectations are realistic. The switch takes time - to map the properties, build the development, and match the systems. It’s more like teaching one system to speak a new ‘language’ than it is just a quick flip of a switch. The testing phase is really important - all parties need to be on the same page about how and where the data is being shared before you get your staff to start using it for your all important sales processes. It’s not a simple ‘set it and forget it’ situation. Stuff breaks - just like the sturdiest house needs a little maintenance from time to time, CRM systems and all digital tools need some cleanup and triage when things break. Keep this in mind and make sure you have backup or Plan B systems in place just in case, and consider this when it comes to pricing (does the pricing include some monthly or quarterly maintenance or is that going to be additional hours each time?). Now that you’re prepared for your CRM migration - get ready for some steps to make it a success! Study data - Take a close look at all the data you currently have to get a handle on the size and age of the database as well as the types of data you will be migrating. Backup data - Never start switching a system before you have thoroughly backed up all relevant data to avoid potential data loss if any issues occur during the migration. Cleanup and optimize data - Now is the time to merge duplicate records, cleanup records, and standardize the data. Make sure that the structure and customizations will transfer correctly to the new CRM system. Map user IDs - In order to make the migration happen smoothly, you should check how user IDs in the current system will map to IDs in the new system so data will transfer over properly. Prepare users - Take the time to inform and train your end users and make sure that everybody understands how to use the new system as well as the benefits. Involve them in the process from start to finish. Perform a test migration - Before making the final migration, perform a test and have several stakeholders carefully review to bring up any issues and help you estimate the amount of time needed for the full migration. Disable workflows, indexes, and plugins - Be sure to stop these processes before the final migration and then turn them back on after it is complete. Perform the final migration - After testing and working out the bugs, it’s finally time to flip that switch and migrate all the data to the new CRM system! Complete post-migration cleanup - There will be details that may have been missed or data that was overlooked. It may take a few weeks to cleanup as you start working with your new CRM system. There are a lot of steps involved in a successful CRM system migration and it will take some time to complete. Don’t get frustrated - keep reminding yourself and your stakeholders of the reasons you are switching and the many benefits you’ll see once things are up and running smoothly - streamlined processes, sales leads optimization, and increased conversions, leading to the real goal of increased profit margins over time. What CRM system for fitness are you currently using? Is it time to make the switch? What has been holding you back?